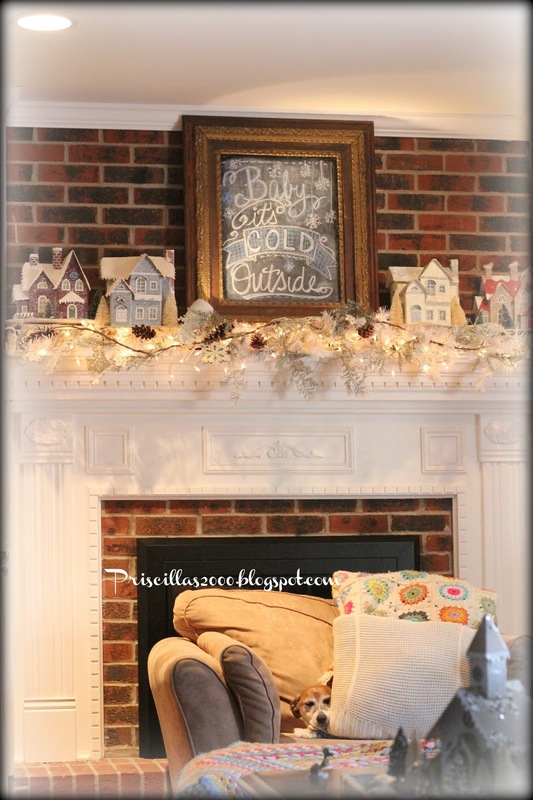 Here is our family room mantel for winter .. I left all the glittery houses ..frosty garlands and snowflakes for winter..all of it was perfect for a wintery theme .. The snowman tree stays up through this month of January .. 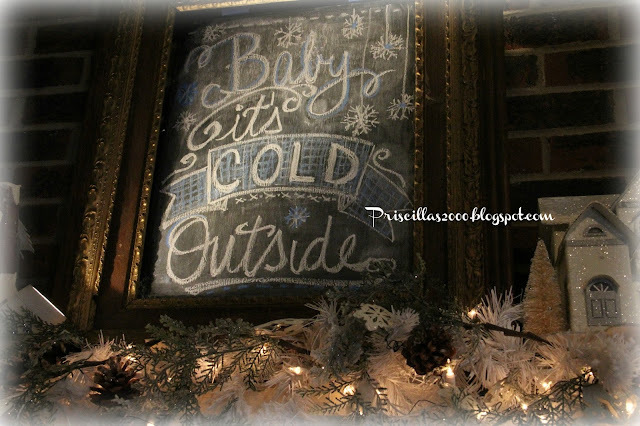 Your chalkboards just keep getting better and better, Priscilla!! Love your mantle with the white lights and houses :) Reagan is such a cutie! 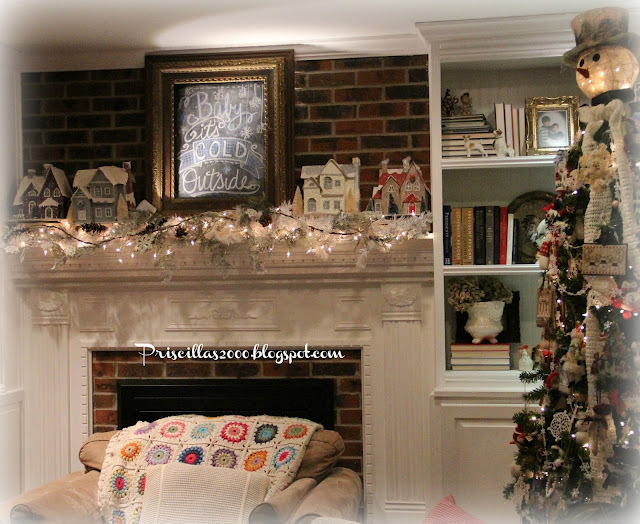 Reagan is sure a cutie! I love the frosty winter feel of your mantle. 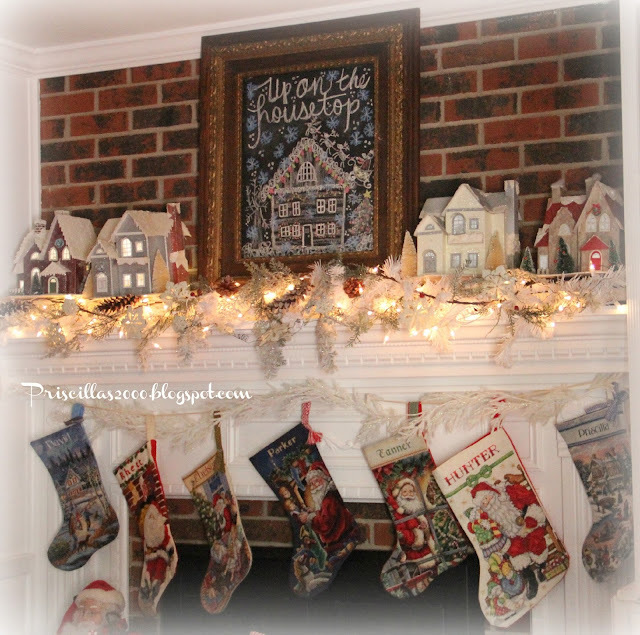 Priscilla, I love all of your mantel décor, and chalkboards!!! Always so fun to see what you come up with I found Reagan. Our little Jack loves to burrow down into the blankets too. I guess that's a little dog thing. I feel like I am finally feeling like me again. What a relief! 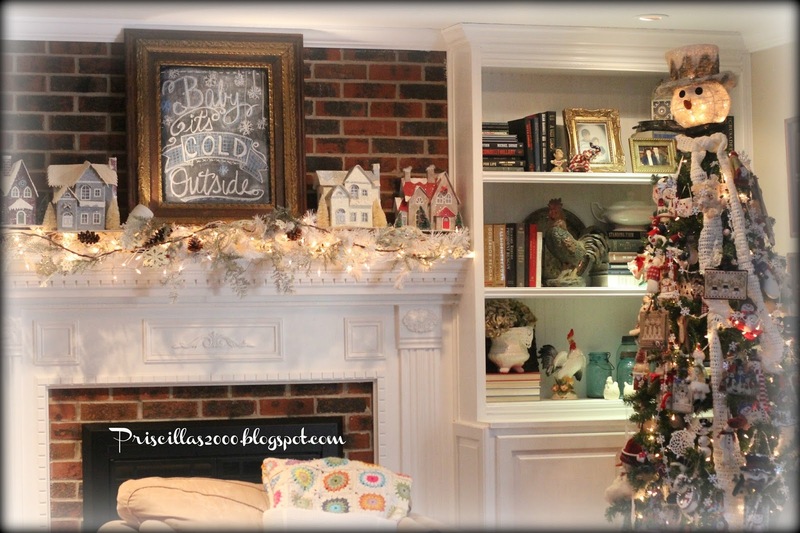 Love the snow man mantle. 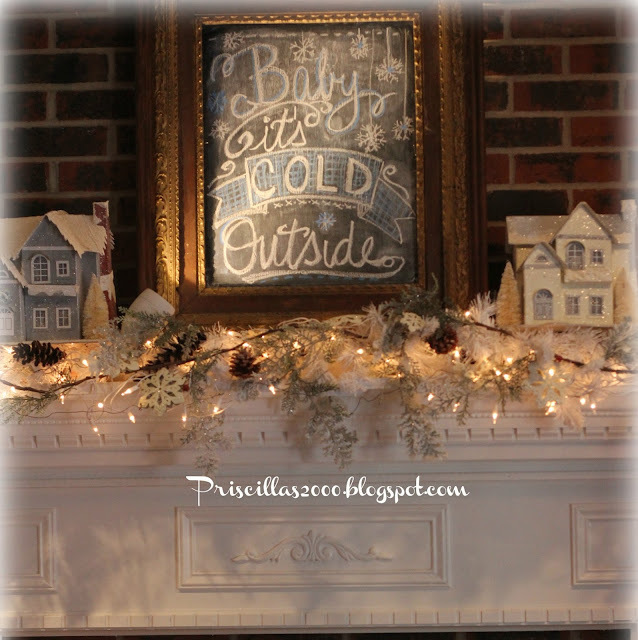 As you know, I decorated the outside of the house ofr WInter and I decorated an area in the kitchen and in the Den too. 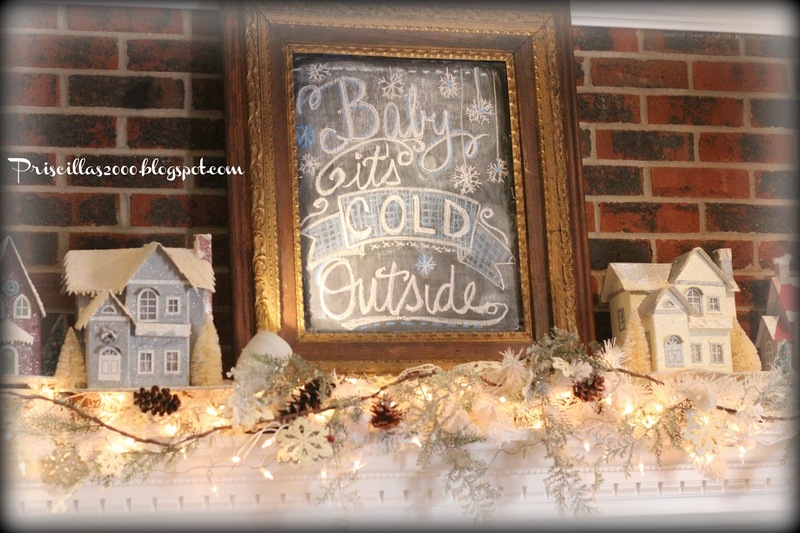 The Winter decorations will stay up until the end of Feb.